It's here! 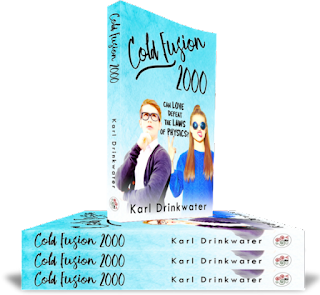 Cold Fusion 2000 has a new edition. New publisher, new ISBNs, new blurb, new interior formatting, new distributors, and a new cover. There have also been small tweaks to the story itself: occasional strengthening of themes or recurring images, and another buff of polish to the language. The biggest change is that I made Alex a year younger, and Natalie a year older, since a few readers thought the age gap was too much - yes, I do pay attention to what my readers say! Also, if you have read 2000 Tunes and wondered what happened to Mark’s Kangol hat after Denny threw it in the river – the new version of Cold Fusion 2000 answers that. Oh, the e-book is also on special at the moment - $1.99 instead of $3.99.